In a recent online kerfuffle, various evangelicals have expressed diverse opinions about comments about Jesus’ “I am” sayings in the Gospel of John that were made by New Testament scholar Craig Evans in his 2012 debate with Bart Ehrman. I do not wish to become embroiled in the “he said, she said” controversy in which some individuals on opposing sides, including personal friends of mine, made critical statements about one another that I would not wish to defend. Instead, I want to address the historical question directly: Are those “I am” sayings in the Gospel of John historically reliable? Let me first try to be as precise as I can about the question here. I am not inquiring as to whether Jesus made statements about himself that were tantamount to claims to deity. He did, as all of the evangelical participants in the recent controversy agree. My friend Ed Komoszewski and I adduced a wealth of evidence on this point from all four Gospels (as well as passages from the rest of the New Testament) in our book on the deity of Christ. On the other hand, I am not looking to defend the claim that John has given us an exact transcript of the words of Jesus in the “I am” sayings—what biblical scholars call the ipsissima verba (“very words”) of Jesus. Since I don’t think Jesus usually spoke in Greek, I assume that at best what the Gospels give us are translations of Jesus’ statements (with the occasional exceptions where they quote Jesus in Aramaic). And translations can vary in how literally (or how woodenly) they represent the words of the original-language sentences. The usual term used by scholars to denote the view that the Gospels give us a reliable presentation of what Jesus said but not in his exact words is ipsissima vox (“very voice”). I am comfortable with this expression as long as we don’t use it too loosely. I think this may have happened in the current controversy. For example, to acknowledge that Jesus made statements that were tantamount to claims to deity, but nothing like the “I am” sayings in John, would as best I can see be a denial that John gives us the ipsissima vox of Jesus. On the other hand, if John is paraphrasing statements that Jesus actually made, so that each statement in John corresponds as a whole to something Jesus said, then John would be giving us Jesus’ ipsissima vox. I’m sure much more could be said about this theoretical matter, but let’s get into the specific issue. Jesus’ “I am” (Greek, ἐγὼ εἰμι [egō eimi]) sayings in the Gospel of John are commonly divided into two groups: those with predicates expressed (e.g., “I am the bread of life,” John 6:35; see also 6:48, 51; 8:12, 18; 10:7, 9, 11, 14; 11:25; 14:6; 15:1, 5) and those without predicates expressed (e.g., “Before Abraham came to be, I am,” John 8:58; see also 4:26; 6:20; 8:24, 28; 13:19; 18:5, 6, 8). Most of the sayings in the latter category are often translated into English using “he” as an implied predicate. Although we cannot “prove” with any definitive, indubitable argument that Jesus made each and every one of these statements, we have many good reasons to view them as historically credible and reliable. In what follows I will present ten such reasons. The argument here is cumulative, i.e., these reasons taken together constitute a strong argument for the historicity of the “I am” sayings of Jesus in John. #1: The Gospel of John has historical value as an ancient biography of Jesus. After half a century or more of extreme skepticism toward the Gospel of John, the pendulum has been swinging for some time in the other direction. There is now at least some respect, even if it is grudging, for the historical value of the Gospel of John. Two recent academic works of importance on these points are Craig Blomberg’s textbook on the historical value of the Gospel of John and Craig Keener’s two-volume commentary. #2: The Gospel of John was written by an eyewitness. We have good reasons to accept the Gospel of John’s claim that it was written by an eyewitness (John 19:34-35; 21:24). Johannine scholars such as Andreas Köstenberger have refuted attempts to explain away this claim, and Richard Bauckham’s groundbreaking work Jesus and the Eyewitnesses, recently expanded in a second edition, offers a variety of independent lines of evidence in support. Note that the evidence strongly supports the conclusion that the author was an eyewitness even if there remains some uncertainty about who he was. Bauckham, for example, does not think the author was John the son of Zebedee but another disciple called John the Elder. #3: John distinguishes between what Jesus said and what the church later understood. In several places in the Gospel, John distinguishes between what Jesus said and did during his mortal ministry and what he and the other disciples later understood. For example, Jesus’ cryptic statement, “Destroy this temple and in three days I will raise it up” (John 2:19) defied understanding at the time. John comments that after his resurrection the disciples remembered this saying, understood that it was referring to the resurrection of his body, and believed what Jesus had said (John 2:20-22). It would be strange (and seemingly quite deceptive) for John to make up a saying of Jesus that he didn’t actually say and claim that it wasn’t understood until after his resurrection! This phenomenon occurs elsewhere in the Gospel. John says that the disciples did not understand the significance of Jesus’ triumphal entry into Jerusalem until after Jesus was glorified (John 12:13-16). Peter did not understand Jesus’ washing of the disciples’ feet, but Jesus assured him that he would understand it later (John 13:4-7). Jesus also told the disciples that after his departure the Holy Spirit would remind them of what Jesus had said and teach them everything—in effect, that the Holy Spirit would enable them to understand what Jesus had said (John 14:25-26). The point is that John is well aware of the difference between what Jesus said in his historical, earthly speech and what the Spirit taught the disciples after Jesus’ resurrection and ascension. Thus, John’s own account precludes the claim that he was putting statements into Jesus’ mouth that he never said as confessions or affirmations being made by the early church. #4: Jesus’ self-references in John are in notable ways unlike John’s designations for Jesus. John, like the Synoptics, quotes Jesus referring to himself frequently as “the Son of Man,” yet John himself never uses that title for Jesus. The title occurs only in sayings of Jesus in Matthew (30), Mark (14), Luke (25) and John (13). John calls Jesus “God” (θεός) twice in the Prologue (John 1:1, 18) and quotes Thomas as referring to Jesus as God at the climax of the Gospel (John 20:28). Yet John never quotes Jesus as referring to himself as God. Similarly, John calls Jesus the “Word” (λόγος) twice in the Prologue (John 1:1, 14) and once in his main epistle (1 John 1:1), but Jesus is never quoted as referring to himself by that term. As in the Synoptics, in John’s narrative Jesus avoids calling himself “Christ”; he acknowledges being the Christ once (significantly, in answer to a Samaritan, not to a Jew, John 4:25-26) and refers to himself as “Jesus Christ” in his Upper Room prayer (John 17:3). Yet the title “Christ” appears in 17 other places in John, including John’s own affirmations at John 1:17 and 20:31. This evidence supports the traditional view that when John quotes Jesus as making a claim for himself, it was indeed something that Jesus had said (again, allowing for the fact of translation from Aramaic into Greek). One way in which Jesus often refers to himself in John is by the designation “the Son,” a term often used in tandem with references to “the Father.” Jesus calls himself “the Son” 12 times in the Gospel. One might suppose that this is a particularly “Johannine” term for Jesus, since John calls Jesus “the Son” both in the Gospel (John 3:35-36) and in the epistles (six times). “All things have been handed over to me by my Father, and no one knows the Son except the Father, and no one knows the Father except the Son and anyone to whom the Son chooses to reveal him” (Matt. 11:27; similarly Luke 10:22). “But concerning that day or that hour, no one knows, not even the angels in heaven, nor the Son, but only the Father” (Mark 13:32; similarly Matt. 24:36). “Go therefore and make disciples of all nations, baptizing them in the name of the Father and of the Son and of the Holy Spirit” (Matt. 28:19). The first of these Synoptic texts is so similar to sayings of Jesus in John that it has been dubbed “a bolt from the Johannine blue.” The saying occurs in both Matthew and Luke, in parallel passages that critical scholars commonly assign to “Q,” an earlier text or possibly an oral tradition postulated as a common source for much of the material found in Matthew and Luke but not in Mark. If we follow this conventional scholarly understanding of the Gospel sources, Jesus’ self-reference using the unqualified title “the Son” goes back to the earliest identifiable source material for the sayings of Jesus in the Gospels. In short, we ought to be somewhat skeptical when we are told that the “Johannine” Jesus speaks about himself in ways radically different from the Jesus of the Synoptics. The burden of proof should be assigned to those who make this claim in order to depreciate the historical reliability of Jesus’ speech in the Gospel of John. #6: The Synoptics report Jesus making statements about himself that are similar in import to some of the Johannine “I am” sayings. We should not expect all of the “I am” sayings in John to have close parallels in the Synoptic Gospels since, on even a cursory reading of the Gospels, John’s account is quite independent of the Synoptics. As John himself pointed out, no book about Jesus was going to be exhaustive (John 20:30; 21:25). Nevertheless, Jesus’ “I am” sayings in John, specifically those with predicates expressed, are very close in meaning to Synoptic sayings in some significant instances. One of the more obvious examples is Jesus’ reference to himself in John as the “good shepherd” (John 10:11, 14). The Synoptics report Jesus referring to himself as a shepherd (Matt. 25:32; Matt. 26:31 = Mark 14:27) and to his followers as sheep (Matt. 10:6, 16; 15:24; 18:12; 25:32-33; Luke 15:4, 6). In both John and the Synoptics, Jesus views himself as the Shepherd rescuing his sheep. “…no one comes to the Father except through me” (John 14:6). “…no one knows the Father except the Son and anyone to whom the Son chooses to reveal him” (Matt. 11:27). Such parallels between Jesus’ sayings in John and the Synoptics show that their presentations of how Jesus viewed himself are not nearly so far apart as is often supposed. #7: Few of the “I am” sayings in John occur in the lengthy discourses. Many critics of the Gospel of John continue to maintain that one mark against its historicity is that it attributes lengthy, “flowing” discourses to Jesus that contrast with Jesus’ characteristic speech in the Synoptics. This is a somewhat dubious criticism, but for our purposes here we need not attempt a refutation of it. As it turns out, most of the “I am” sayings occur in passages other than the long, supposedly “Johannine” sounding discourses (John 4:26; 6:20, 35, 48, 51; 8:12, 24, 28, 58; 11:25; 13:19; 14:6; 18:5, 6, 8). The exceptions are the four “I am” sayings in John 10:7-14 and the two in 15:1, 5. In four instances “I am” sayings with no predicate expressed stand alone in one-sentence speeches of Jesus (John 4:26; 6:20; 8:58; 18:5). Obviously, these four occurrences are not part of any “discourse” at all. Thus, even if one harbors some suspicion of lengthy discourses of Jesus in the Gospel of John, this suspicion has no relevance to most of the “I am” sayings in John. #8: At least one of the “I am” sayings in John has multiple attestation in the Synoptics. “And if you cross through the water [εἰμι], I am with you…. Fear not [μὴ φοβοῦ], because I am [εἰμι] with you” (Isa. 43:2, 5). “I am [ἐγώ εἰμι]; fear not [μὴ φοβεῖσθε]” (John 6:20). The disciples were attempting to go “across the sea” (John 6:17) when a great storm arose (v. 18), and Jesus appeared to them on the sea (v. 19) and said to them, “I am; fear not” (v. 20). That Jesus’ statement in John 6:20 echoes Isaiah 43:5 is thus very clear when we read it in context. We should, then, translate John 6:20 something like “I am [he]” if we want to bring out the full sense of Jesus’ saying here. In effect, Jesus is implicitly claiming to be the Lord Yahweh who was with the Israelites when they crossed the Red Sea and who promised to be with them in similar future crises. This particular “I am” saying in John is of special interest because it happens to be precisely paralleled in two of the Synoptic Gospels. In both Matthew and Mark, the same event is reported, with Jesus walking on the sea and saying to the disciples, “I am [he]; fear not” (Matt. 14:27; Mark 6:50). The Greek words here are identical in all three Gospels, ἐγώ εἰμι· μὴ φοβεῖσθε. One of the common “criteria” used by scholars investigating what the historical Jesus said and did is the criterion of multiple attestation. All other things being equal, if a saying of Jesus is reported in more than one Gospel, this fact makes it more difficult to discount its having been an authentic saying of Jesus. This line of reasoning becomes stronger if we have reason to think that the Gospels preserve two or more independent accounts of Jesus making this statement. Since John appears to have been written in some independence from the Synoptics, the presence of a saying of Jesus in both John and the Synoptics strengthens the case for the historical authenticity of that saying. At the very least, the occurrence of a divine “I am” saying in both John and two of the Synoptic Gospels is a serious impediment to the claim that such sayings are the invention of the author of the Gospel of John. #9: Two “I am” sayings found in the Synoptics but not in John make implicit claims to deity. We have already seen one “I am” saying of Jesus found in both the Synoptics and John that appears to express implicitly the deity of Jesus (Matt. 14:27 = Mark 6:50 = John 6:20). There are two other such sayings in the Synoptics that have no parallel in John and that also make implicit claims to deity. “I am [ἐγώ εἰμι], and you will see the Son of Man seated at the right hand of the Power, and coming with the clouds of heaven” (Mark 14:62). “And behold, I am with you [καὶ ἰδοὺ ἐγὼ μεθ᾽ ὑμῶν εἰμι] always, to the end of the age” (Matt. 28:20). “Behold, I am with you [καὶ ἰδοὺ ἐγὼ μετὰ σοῦ] and will keep you wherever you go, and will bring you back to this land. For I will not leave you until I have done what I have promised you” (Gen. 28:15). Jacob was to “go” knowing that God was with him; likewise, the disciples were to “go” (Matt. 28:19) knowing that the Lord Jesus was with them (v. 20). The Synoptics, then, report Jesus uttering “I am” sayings in various contexts that make implicit claims to deity, just as the Gospel of John does. #10: The divine claims of the “I am” sayings in both John and the Synoptics are implicit and in some instances ambiguous. It is commonly asserted that Jesus’ claims to deity in the Synoptics are only implicit and cryptic while in John they are plain and explicit (or even nearly so). At best, the differences between the Synoptics and John in this respect are a matter of degree. In reality, the “I am” sayings of Jesus in John generally are veiled or even ambiguous claims to deity. We have already seen the ambiguity of Jesus’ “I am” saying on the Sea of Galilee (John 6:20). The same ambiguity (“I am” or “It is I”?) applies equally to John 6:20 as to the parallels in Matthew 14:27 and Mark 6:50. Jesus’ reply to the men who came to arrest him in Gethsemane furnishes another example. When they told him they were seeking Jesus of Nazareth, his response was simply “I am [he]” (John 18:5). Yet these words appear to carry much more weight than merely an acknowledgment “That’s me,” since at those words the men fell backward (v. 6). Craig Blomberg has compared John with the Synoptics in this regard and found that in both Jesus’ claims to deity are consistently implicit rather than explicit. The above ten considerations, taken together, form a strong case for accepting the “I am” sayings in the Gospel of John as historically authentic. The burden of proof should be placed on those who would dispute their authenticity as sayings of Jesus. For an unedited video of the debate, see “Bart Ehrman & Craig Evans 2012 Debate P1,” YouTube, Nov. 3, 2013. The recent evangelical controversy was sparked by the posting of a short excerpt from the debate video by Muslim apologist Yahya Snow, “Craig Evans: Some Sayings in John Weren’t Actually Said by Jesus!” You Tube, Sept. 14, 2017. Although Snow’s video was an excerpt and contained an editorial seam in which a statement that Evans made was repeated, nothing was cut from the clip and nothing Evans said that was germane to the issue was omitted. Lydia McGrew, a friend of mine, posted about it on her blog: “Jesus Never Said the ‘I Am’ Statements?” Extra Thoughts, Sept. 28, 2017. Michael Licona (another friend of mine), whose views Lydia McGrew also criticized, responded on his blog: “Are We Reading an Adapted Form of Jesus’ Teachings in John’s Gospel?” Risen Jesus, Sept. 29, 2017. See also the comments by Steve Hays, “Script or History?” Triablogue, Sept. 29, 2017. Of course, the matter has also been discussed on Facebook (which is where it appears to have started). In fact, Evans offered a clarification that has been shared on Facebook. Robert M. Bowman Jr. and J. Ed Komoszewski, Putting Jesus in His Place: The Case for the Deity of Christ (Grand Rapids: Kregel, 2007). Richard A. Burridge, What Are the Gospels? A Comparison with Graeco-Roman Biography, SNTSMS 70 (Cambridge: Cambridge University Press, 1992); 2nd ed. (Grand Rapids: Eerdmans; Dearborn, MI: Dove Booksellers, 2004). Craig L. Blomberg, The Historical Reliability of John’s Gospel: Issues and Commentary (Downers Grove, IL: IVP Academic, 2002); Craig S. Keener, The Gospel of John: A Commentary, 2 vols. (Grand Rapids: Baker Academic, 2003). Andreas J. Köstenberger, “‘I Suppose’ (oimai): The Conclusion of John’s Gospel in Its Literary and Historical Context,” in The New Testament in Its First-Century Setting: Essays on Context and Background in Honour of B. W. Winter on His 65th Birthday, edited by P. J. Williams, A. D. Clarke, Peter M. Head, and David Instone-Brewer (Grand Rapids: Eerdmans, 2004), 72–88. Following the Greek NT manuscripts that include “nor the Son” (οὐδὲ ὁ υἱός) in Matthew 24:36 as reflected in the UBS/NA text as well as the vast majority of contemporary English versions. The words are absolutely certain in Mark 13:32. See further Bowman and Komoszewski, Putting Jesus in His Place, 204–206. This and other “criteria of authenticity” are much disputed today, but they remain a rather common staple of Gospel scholarship. See further Bowman and Komoszewski, Putting Jesus in His Place, 249. Craig L. Blomberg, The Historical Reliability of the New Testament: Countering the Challenges to Evangelical Christian Beliefs, B&H Studies in Christian Apologetics, gen. ed. Robert B. Stewart (Nashville: B&H Academic, 2016), 178–82. This entry was posted in Jesus and Christology and tagged authenticity, Craig Evans, Gospel of John, I am, ipsissima verba, ipsissima vox. Bookmark the permalink. Your tenth point is that Jesus’ claims to divinity are implicit and ambiguous even in John’s Gospel. Do you think that this was a necessary strategy for Jesus to pursue? Was Jesus’ divinity something that people just couldn’t have comprehended when he was alive? If that was the case then the only option was deliberate ambiguity. It was only after the Resurrection that people would be able to make sense of everything that Jesus had said and done during his life. Yes, David, I think that’s correct. Jesus had humbled himself by coming in the form of a servant and in the likeness of (mortal) human beings (Phil. 2:6-7), so that recognizing his deity was something that would have been extremely difficult while he remained in that mortal, humble state. I find that many conservative scholars have no difficulties with the Muratorian Fragment’s listing of canonical NT books, and no problems with its testimony to the traditional authorship of the gospels, but when the MF specifies that John’s first idea for gospel authorship was that the disciples first starve themselves for three days, then jot down what would be “revealed” to each disciples, then suddenly, conservatives are quite sure that this part of the MF is a later interpolation or an otherwise distorted view of how John reacted to the prospect of writing a gospel. And suddenly, they aren’t so sure that the MF really goes back to the 2nd century. What would be wrong with an atheist saying the MF is truthful when it paints John as believing he should get his gospel material via more esoteric means than simply jotting down his eyewitness memories? Indeed, John 16:14 and the book of Revelation (if the author of those two books is the same guy), combined with Clement of Alexandria’s explicit denial that John desired to write “external facts” about Jesus as the prior Synoptic authors had already done, would justify the historical conclusion that John was open to getting the truth about Jesus in more ways than just what he or others remembered Jesus saying, the method that most conservative Protestant scholars insist was the case. Which then means that for any saying of Christ now exclusive to John’s gospel, we cannot reach a reasonable degree of certainty on whether or to what extent these words of Jesus correctly represent in Greek the same information Jesus’ hearers got when he spoke to them in Aramaic. If such a case can be historically justified, then I don’t see how the skeptic who makes such argument would be unreasonable to use it to further argue that the gospel of John contains an unknown mixture of historical truth and historical falsehood or theologizing which cannot be disentangled, and as such, he is disqualified from the list of independent witnesses of Jesus’ resurrection. So my questions to you would be: If John is the only person saying Thomas’ infamous doubting was cured by his touching of the risen Christ’s crucifixion wounds (John 20), what makes you so sure this is based purely on eyewitness recall? Shouldn’t you remain open to what Clement said, and allow that John’s unique material about the risen Christ was written for a “spiritual” reason that is not the same as writing out the “external facts”? For what reason do you think skeptics are unreasonable to assert that the esoteric nature of the uniquely Johannine gospel material disqualifies it from the possibility of answering questions about literal history, such as whether Jesus rose from the dead? WordPress mistakenly treated your comment as spam, but happily I found it and was able to approve it. I tend to privilege internal evidence from the text itself as well as evidence from roughly contemporaneous sources over evidence from much later secondary sources. Both the Muratorian Fragment and Clement of Alexandria are much later than John’s Gospel and so their statements need to be assessed in the light of the more directly relevant evidence. Where those later secondary sources appear to confirm conclusions based on the text itself or secondary sources closer to the time of the Gospel’s composition, naturally I will agree with them. I don’t see anything in John 16:14 or the Book of Revelation that would support the claim that the Gospel of John is not providing biographical material about Jesus. Dr. Bowman, thanks for rescuing me from the spam heap. So I guess I got “saved”…? If a case can be made that some sayings of Jesus in the canonical gospels did not exist until after Jesus died, then it would seem it is hopeless to try and disentangle these sayings of late esoteric origin from those which the historical/biological Jesus actually mouthed…which might provide rational academic justification to the unbeliever to simply throw up their hands and say the gospel of John is disqualified by reason of ambiguity from being viewed as the written recollections of eyewitnesses who heard the historical Jesus talk. The reason I say John 16:14 indicates some of the Johannine material on Jesus isn’t biographical or historical, is because the author makes it clear that Jesus would continue giving “sayings” to the church beyond the grave, by means of the Paraclete. 14 “He shall glorify Me; for He shall take of Mine, and shall disclose it to you. a – The things the disciples cannot now (i.e., 30 a.d.) bear, are things Jesus has to “say”. Borchert, G. L. (2002). Vol. 25B: John 12-21. The new American commentary, New International Version (Page 170). Nashville: Broadman & Holman. c – “things to come” (v. 13), ok, so when the gospels have Jesus describing future events or “things to come” (i.e., Matthew 24), this statement in John would justify the view that Jesus’ eschatological statements were provided to the church by the Paraclete after he died, despite the fact that they present them in the gospels as if they were things he said before the crucifixion. These sayings of Jesus conveyed by the Spirit are a case of him taking them FROM Jesus (v. 14-15), reinforcing the above-cited conclusion that the Spirit is not merely “guiding” the church but conveying what Jesus actually has to “say” beyond the grave (v. 12). The point is that when you apologists assert the gospel of John constitutes eyewitness testimony obtained by typical memory or “recollection” of what the historically Jesus said and did before he died, you are giving the impression to the unbeliever that the person who wrote that gospel drew upon nothing other than his own and possibly other’s eyewitness memories, the same way that anybody normally does when writing down a description of an event years after it took place. That impression conflicts with John’s own testimony that Jesus would continue giving his sayings to the church from beyond the grave, naturally raising the question as to whether some of the Christ-sayings in John were things the apostles never heard Jesus say until after he died. This then raises the problem as to which Johannine sayings of Christ were those that the biological/historical Jesus actually mouthed, and which sayings of Christ were those that the church never knew until the Spirit conveyed them to the post-crucifixion church. Without a convincing alternative interpretation of John 16, and without coming up with a miracle to help us disentangle in John the pre-crucifixion sayings of Christ from the sayings he gave from beyond the grave, it would seem unbelievers have here a reasonable academic justification to consider the question of JOhn’s eyewitness nature to be hopelessly confused and to thus disqualify John’s gospel from the list of resurrection witnesses apologists typically depend on. And all this is to say nothing of the equally significant objection that if Matthew, Mark or Luke or their sources (Peter?) had remembered Jesus talking in the high-Christological way he does in John’s gospel, they would not likely have “chosen to omit” such powerful theological teachings anymore than a modern day author of a book entitled “Sexual Scandals of the Clinton Presidency” would be likely to “chose to omit” all mention of the Monica Lewinsky affair. So the Synoptic failure to echo Christ-sayings now exclusively limited to John’s gospel, is a rational reason to suspect that John’s Christ-sayings originated in circumstances far more complex/esoteric than simply what somebody remembered the biological/historical Jesus actually mouthing before he died. Your argument from John 16:14 fails to support the crucial aspect of your claim, namely, that what the Holy Spirit would tell the apostles after he came would then be written in the Gospels as though they were pre-Crucifixion sayings of Jesus. There is no reason not to take John 16:14 to mean that the apostles were going to receive revelation from the Holy Spirit that would be presented as such. It does not present Jesus as saying that he will continue to give “sayings” through the Holy Spirit that were then to be reported as though they were given before the Holy Spirit came. I’ve allowed the discussion up to this point, but any further comments will need to address one or more of the arguments presented in the blog piece. In John 8:58, Jesus tells the Pharisees, “Before Abraham was, I am.” He claimed to be the “I AM” of Exodus 3:14, which is God Almighty. Thus you argued that skeptics should be required to give argument why they deprecate the historical reliability of John’s gospel. Were my first two posts here not directly relevant to the task of deprecating the historical reliability of Jesus’ speech in the gospel of John”, even if you thought my arguments unpersuasive thereto? First, my comments about the Muratorian Fragment directly speak to what kind of person John was and whether his ideas about gospel history are similar to those held by modern conservative Christians. John was prone to obtaining his gospel material from visions induced by starvation. That surely is relevant to your first argument “#1: The Gospel of John has historical value as an ancient biography of Jesus”, unless you now clarify that when you say “eyewitness”, you also mean those people who get their material by vision? For example, my question to you from my first post: “What would be wrong with an atheist saying the MF is truthful when it paints John as believing he should get his gospel material via more esoteric means than simply jotting down his eyewitness memories?” Isn’t answering that question relevant to the proposition “The Gospel of John has historical value as an ancient biography of Jesus”? Did you intend to make argument to support the premise? How do you propose a modern person can make an assessment of John the Elder’s general credibility, when in fact conservative Christian scholars disagree on whether he even existed? For example Dr. Monte Shanks argues in “Papias and the New Testament” (Wipf & Stock Pub, July 8, 2013) that it is only from Eusebius’ chiliast-biased “misunderstanding” of Papias, that such a figure as John the elder arises. Jerome in De Viris Illustribus admits the confusion problem in the church and denies that the Elder and Apostle are the same man. Not sure why you are implying with your last sentence that I wasn’t addressing “one or more of the arguments presented in the blog piece[. 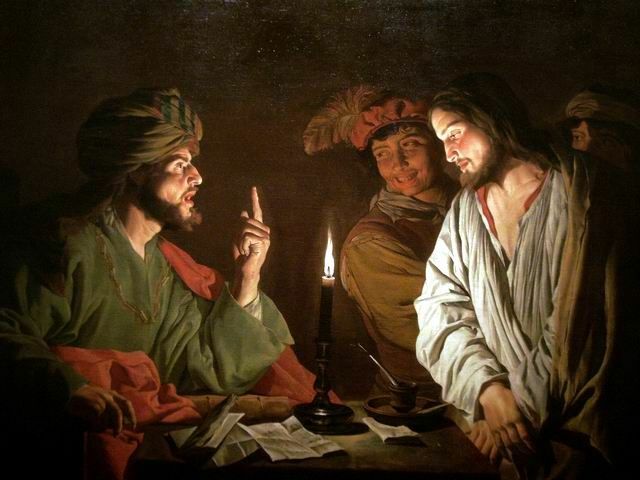 ]” You say in your blog piece “In short, we ought to be somewhat skeptical when we are told that the “Johannine” Jesus speaks about himself in ways radically different from the Jesus of the Synoptics. The burden of proof should be assigned to those who make this claim in order to depreciate the historical reliability of Jesus’ speech in the Gospel of John.” Thus you argued that skeptics should be required to give argument why they deprecate the historical reliability of John’s gospel. Were my first two posts here not directly relevant to the task of deprecating the historical reliability of Jesus’ speech in the gospel of John”, even if you thought my arguments unpersuasive thereto? Your quotation from my post came from the conclusion of my fifth point, which was that Jesus sometimes speaks in the Synoptics in ways that are usually considered “Johannine.” Yet you did not address this point. Nor did you address any of the arguments presented in any of the other nine points of my article. John was prone to obtaining his gospel material from visions induced by starvation. That surely is relevant to your first argument “#1: The Gospel of John has historical value as an ancient biography of Jesus”, unless you now clarify that when you say “eyewitness”, you also mean those people who get their material by vision? I gave three arguments in defense of that point. The Muratorian Fragment was not relevant to any of those three arguments. The fourth of the Gospels is that of John, [one] of the disciples. To his fellow disciples and bishops, who had been urging him [to write], he said, ‘Fast with me from today to three days, and what will be revealed to each one let us tell it to one another.’ In the same night it was revealed to Andrew, [one] of the apostles, that John should write down all things in his own name while all of them should review it. Do you see it? The Fragment says absolutely nothing whatsoever about John receiving any sort of revelation through the three-day fast. Only Andrew is said to have had a revelation. And it was a revelation concerning how they should proceed with producing a new Gospel text, not “visions” that supplied the actual content of the new Gospel. As to why I didn’t offer a detailed defense of my second point, which was that the Gospel of John was written by an eyewitness, there are two obvious reasons. First, it’s a blog, not a periodical article or a monograph. Second, this blog post addresses the issue of the historicity of the “I am” sayings in the context of evangelical scholarship on the Gospels (note the opening paragraphs). You might just as irrelevantly ask why I didn’t defend the existence of Jesus as why I didn’t defend in detail the view that the Gospel of John was written by an eyewitness. So I referred to some good work on the subject that most evangelical scholars would acknowledge as at least important and relevant work on the subject. Finally, whether the author was John the apostle, son of Zebedee, or another man named John the Elder, ultimately has no bearing on the cogency of the internal evidence that the author (whoever he was) was an eyewitness. Barry, please be advised that we will not be engaging in any protracted discussion here. As far as I am concerned, this exchange should be considered to have come to a conclusion.